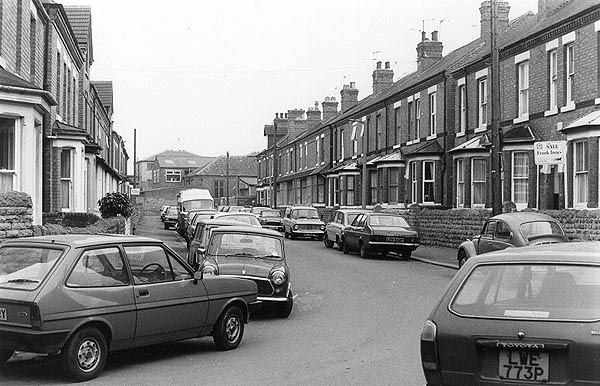 A photograph of Midland Avenue looking towards Church Street taken in the late 1980s/early 1990s. Only the buildings in the far distance have changed as can be seen in the next picture. Compared with the previous shot the photographer has moved further along Midland Avenue for this one taken in 1999. In the distance is the new residential block known as Albert Square which replaced the old school buildings which laterly had housed various local businesses. This shot of properties at the northern end of Midland Avenue was taken c.2008. When the properties were first built, the original stretch of road leading to the level crossing would still be in situ, even though it had been made obsolete by the construction of the bridge in the 1880s which henceforth took vehicles and pedestrians over the railway. 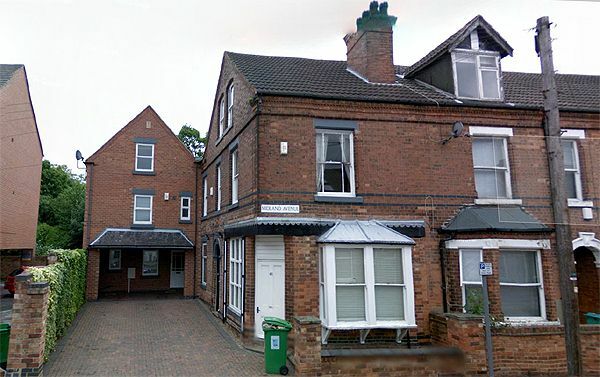 In more recent times a portion of the old road way has been commandeered in order to permit the construction of the detached property situated at the back of the earlier set of terrace properties. 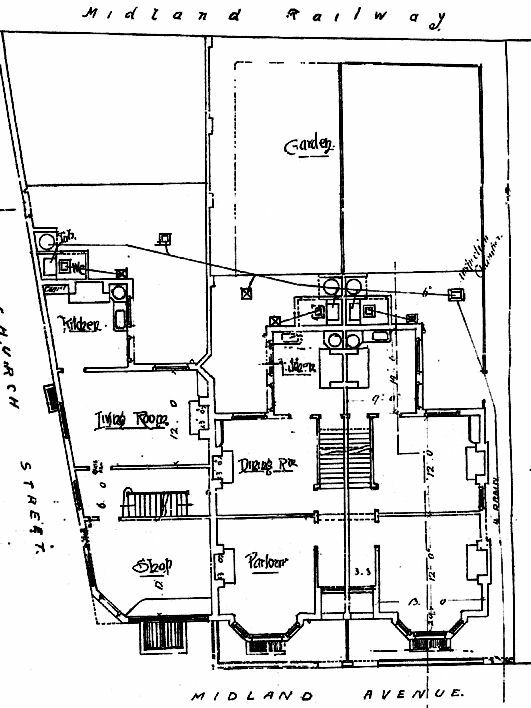 The ground floor plan displayed here is taken from the architect’s original drawings for three houses commissioned by Arthur Keetley, and drawn up by Frederick Ball & Lamb, architects. If you look carefully at the plan it will become evident that the end property originally had a shop unit incorporated into its design. See Lenton Times No.6 for more information on the construction of Midland Avenue. My memories of Midland Avenue date back to my school days spent at Lenton during the 1940s and 1950s. Two of the girls in my class both lived on Midland Avenue - Jean Allsop and Eileen Horton. We spent many happy hours playing in and around the area and over on the 'Rec.' 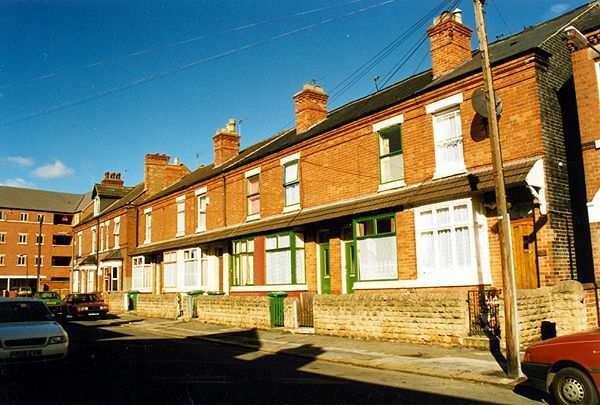 In January 1985 my uncle, Birley Fox, died and I inherited his house No.36 Midland Avenue. As I had just separated from my husband I moved into No. 36 and stayed there until November 1990 when I moved up to Northumberland. I found it to be a very interesting old house with lots of original features which I uncovered in the process of refurbishing the property. Do you have any historical information or other photographs of this street? If so, email us with the details or write to us.